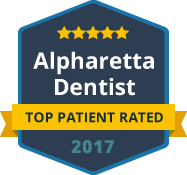 At Crabapple Dental, we believe that every patient deserves a beautiful smile. That’s why you’ll find that we pursue the latest and most innovative developments in cosmetic dentistry. We have ways to address teeth that are discolored, gapped, crooked, chipped and otherwise unsightly. We proudly offer advanced cosmetic services that are life changing and more conservative than ever before. When it comes to providing dramatic improvements to your smile, we offer DURAthin porcelain veneers. Unlike traditional porcelain veneers, DURAthin veneers don’t require the removal of your natural tooth structure, which is a common drawback for many patients. DURAthin veneers are the perfect solution to makeover your smile and help you look younger and feel more confident. DURAthin veneers are no thicker than a contact lens. They are custom crafted with micro-thin layers of strong porcelain to create a more natural and less bulky appearance. DURAthin veneers are ideal for patients who want larger teeth or for those that need to enhance a narrow arch width. However, this cosmetic treatment can be used to address a wide variety of aesthetic concerns. The highlighted advantage of choosing DURAthin veneers is the preservation of natural tooth structure. Unlike other cosmetic veneers, there is no need to shave off sensitive tooth structure in order for the veneer to adhere. Instead, DURAthin veneers are bonded directly to the front surface of the teeth. This makes it a painless, conservative and reversible procedure, which gives patients an added peace of mind about their cosmetic dentistry investment. If you want to transform your smile with porcelain veneers, we invite you to learn more about our micro-thin, no-drill veneers. DURAthin can solve your concerns about removing healthy portions of your teeth while giving you a beautiful and radiant new smile in return. Similar to other types of veneers, DURAthin veneers are designed to hide cosmetic imperfections and are used on the front visible teeth of your smile. 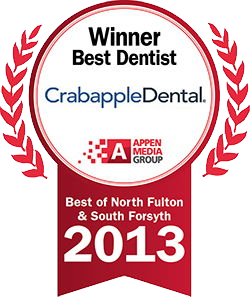 To learn your candidacy for DURAthin porcelain veneers, contact Crabapple Dental today!